A testament to the sheer emotional force of cinema and a reflection of Kiarostami’s keen eye for the humanity in tragedy. Through the Olive Treestells two parallel stories — the film within the film, and the making of the film within the film — that accentuate the boundaries between form and content, and simultaneously stake a claim to their cinematic inseparability. A masterpiece. The story of Maier’s life is so fascinating that it overcomes the film’s shortcomings. Maloof’s vibrancy and wide-eyed curiosity for Vivian’s work is incredibly affecting and pierces through the screen. As delicious a treat as Mendl’s bakery. Anderson’s eccentric humor and bright, dioramic aesthetics feel more at home in his construction of aworld than they ever did in his recreations of the world. Funny, poetic, soulful and thoroughly enjoyable. A remnant of Kiarostami’s pre-90s concerns with socially conscious children’s stories, The White Balloon is rich and delightful. A beautiful combination of Kiarostami sparse, observational writing and Panahi’s verve in his first try behind the camera; and one of the most memorable films about the Iranian Nowruz celebration, too. Daring to go where Middle Eastern cinema never does, Pasolini embraces the famous folklore in all its anachronistic glory, accentuating both the brilliant and the ridiculous in equal measure. A bold picture; Majidi’s astonishingly assured debut feature explores taboo subjects such as child slavery and underage prostitution with a frank, compassionate voice. Multiple screenings have only enriched my experience with this film. A genuine treasure. A modest but meticulously produced gem, The Missing Picture carries the weight of so much personal pain and national suffering across the screen, gently inviting the audience into a world of melancholic wonder. Written, acted, directed, designed, scored and, crucially, edited for maximum camp factor. This is the ultimate B-movie, but so incredibly enjoyable that an additional + is a must. The unaltered complexity of the text and the rugged atmosphere are captured fluidly and married to an operatic sound scape. Only the tactile touch of a poet can concoct such magic from history’s most oft-repeated tale. Almost an 180 degree turn from his politically motivated films of the 1980s, A Moment of Innocence is possibly Makhmalbaf’s pinnacle, at which he beautifully, subtly and poetically revisits his earlier self and the sociopolitical ideologies that thrust him into public life. One of Lubitsch’s very best comedies, and that’s saying quite a lot. The characterization is complex and the social context is subtly worked in despite the simplicity of the narrative. An elegantly composed, superbly performed gem. Makhmalbaf’s collection of archival images and videos look enchanting, but his editing and soundtrack expose him as an ideologue and obscure the film into irrelevance. 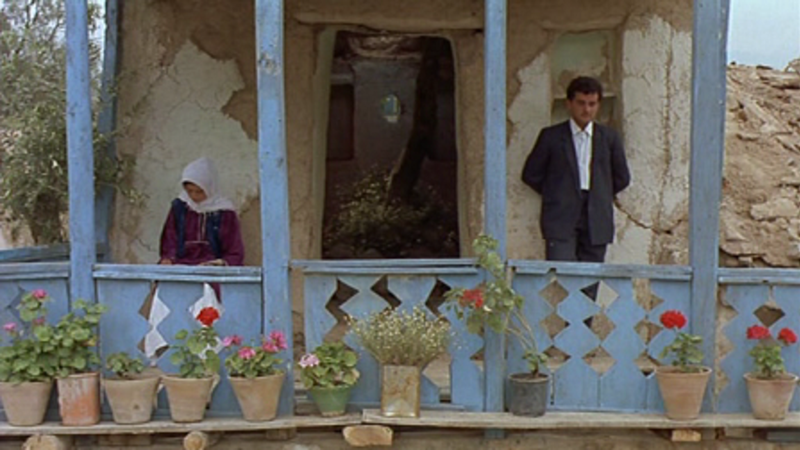 Though the gimmick begins to run out of steam before the end of the film, Makhmalbaf’s love letter to cinema and Iranian film history through the perspective of the Qajar shahs who became obsessed with the cinematograph machine is inventive, entertaining, illuminating, nostalgic and absolutely hilarious. Overwrought, overdirected, overcooked and overstuffed with ideas that never coalesce, this film is emblematic of Makhmalbaf’s worst tendencies as a director. Marriage never achieves any form of coherence or dramatic gravitas, instead suffocating the audience with sociopolitical messages and black and white, archetypal, grand-scale characterizations. Mildly amusing since, as the most popular B-movie in Iranian film history, it provides insight into the interests of the movie-going public at the time, but otherwise atrocious on every single level: illogical absence of any causality, inconsistent pacing, offensive politics and a botched amalgam of imitated Hollywood and Bollywood styles. Shirdel’s most experimental work taps into the Iranian psyche, the nature of truth and the shortcomings of the Iranian regime by examining from multiple perspectives the story of a village boy who tried to save a train from an accident. Hypnotic, perceptive and complex in both construction and reach.